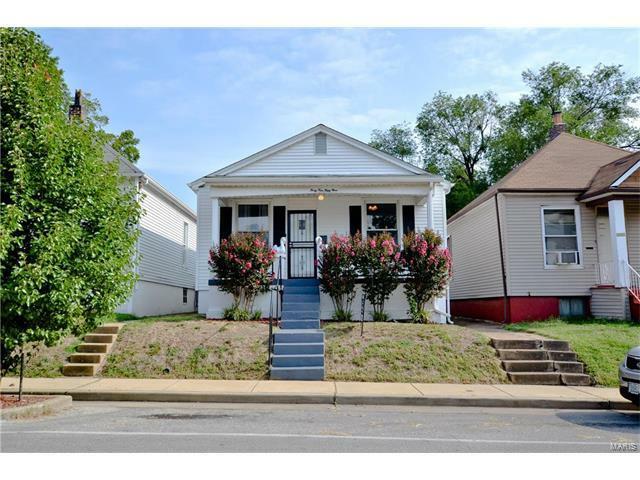 Welcome home to this cozy bungalow located in the historic Bevo neighborhood. This property is only 1 block from the a St. Louis staple, the Bevo Mill which has been recently relaunched as Das Bevo. The amenities are abundant in this home with a updated finishes, a recent roof replacement and much more. An open floor plan allows you to see from the front door to the back door. The living room leads directly into a spacious dining room and finally in to a kitchen that offers plenty of cabinet and counter space. Over 1000 square feet of living space is available on the main level and partially finished basement. The lower level offers a bar, game-room/living space, .5 bath, laundry and tons of additional storage. The backyard provides a space with privacy perfect for entertaining. The full garage offers off-street parking and additional storage space. Property is located on Delor, between Ridgewood and Alfred. From Kingshighway/Christy, the property will be on the left-hand side.